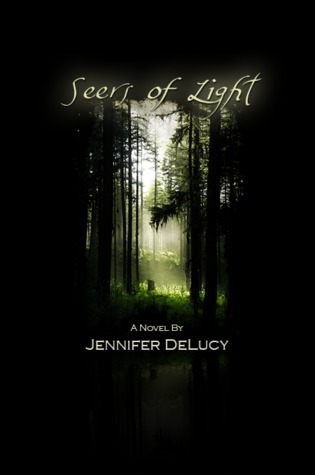 Spellbound By Books would love to introduce Jennifer DeLucy, Author of Seers of Light! A Big thank you to Jennifer for taking the time to answer my questions. So here goes. 1. How would you describe Seers of Light? 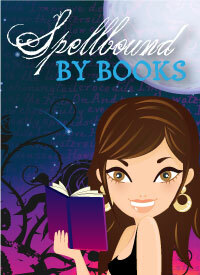 Well, it's a mix-mash of paranormal/speculative romance. I like to combine a lot of eastern thought and modern living into my books, because I believe we're all destined for good things, if we act from our heart and with love and courage. This book is a love story, yes, but I think it's more about the purpose and path of our main protagonist (Lily), and how her interactions influenced and touched the lives of everyone around her. 2. What was the easiest/hardest part of writing Seers of Light? Hm. The easiest part was writing it. The hardest part was trying to find enough hours in the day to do so, since I was working full time while writing it. The sleep-deprivation really stinks, but, it was worth it. 3. Where do you do most of your writing? Actually, I like to write either in bed, or on the coffee table. I know, boring, right? But, if I had my ideal, I'd be writing in a garden or on a sun porch by the ocean. Le sigh. 4. What routines/quirky habits do you have for when and how you write? 5. What keeps you writing? It makes me happy, plain and simple. Writing is one of two things (the other being music) that brings me great joy, and in a world where so many people are unhappy and afraid to follow their dreams, I just want to encourage and inspire them to feel passionate about their own lives. Sometimes it takes a story or a song to do that, you know? I'm working, or editing, or writing music. 7. Any future projects you would like to share with us? 8. Is there a question you've always wanted to be asked but haven't? What would your answer be? You know, off hand, I can't think of one. But, if your readers leave a question in the comments area, I'd be happy to answer it! 9. Are there any tips and advice you would like to pass on to aspiring writers? Learn grammar thoroughly as you can. I don't mean run out and try and earn your doctorate in the English (or whatever you speak) language, but, do have a firm grasp on the rules of writing. It saves both you and your editor a lot of work, and it makes you far more likely to be taken seriously and published more quickly. 10. And last, your stuck on a deserted island which character from your books would you take with you and why? Ooooh, now, this one is niiiice. Okay, talk about hard! I'm going to say William, because, for one, he is a healer, and wouldn't that be handy in a dangerous environment, but also . . . . come on. He's William. Thank you again Jennifer for an awesome interview! 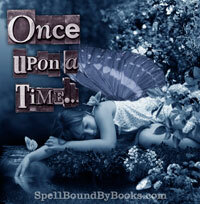 To read my review of Seers of Light click here! Fantastic Book!! Just thinking about this book makes me smile...LOVE Jennifer, Love the world created in Seer's and this is a WONDERFUL interview, great questions Melissa! 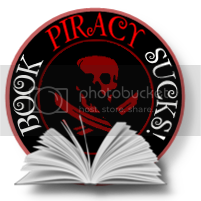 Ex Libris presents "Spotlight on.."
Archvillain by Barry Lyga ARC GIVEAWAY! !